Nancy Pelosi went to Miami to help raise funds for one of her leftists sycophants, Joe Garcia. They were only able to round up about 150 people for Pelosi's event. 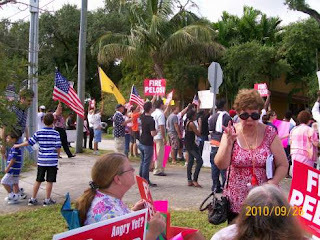 The Miami Tea Party gave Pelosi a boisterous welcome.